I want to enter the BBQ Battle for the Ridge! 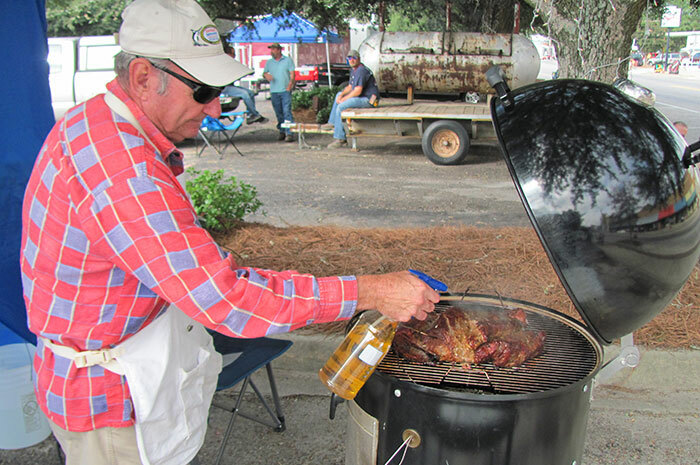 Join some of the state's top BBQ cookers and compete for the title of BBQ KING OF RIDGE SPRING! I want to enter the Miss Harvest Festival pageant! Pageant levels available from birth to 20 years of age. 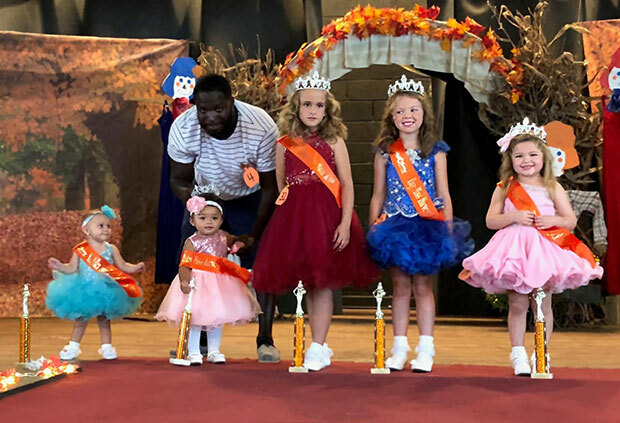 Pageant date is Saturday, September 22, 2018. Register by Wednesday, September 12, 2018. I want to exhibit in the car show. 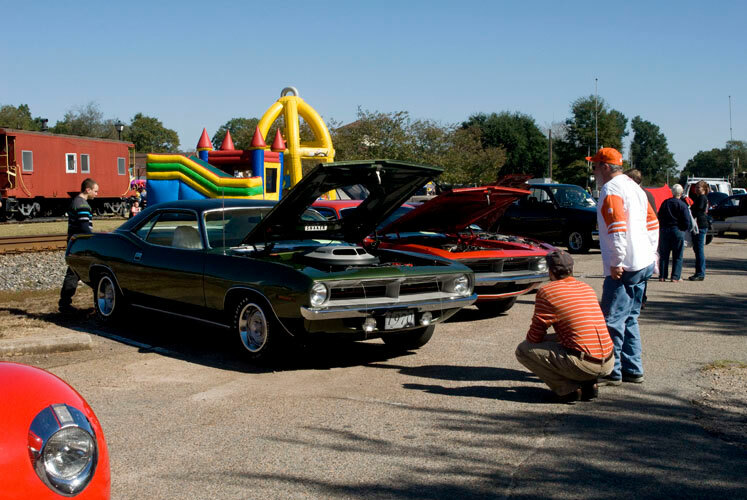 From antiques to modern vehicles, come show off your car, truck or bike. I bake award winning pies or cakes. Think you have the best cake or pie around? Participate in our pie and cake contest! I am into Arts, Crafts, Antiques or I am an Exhibitor. Ridge Spring loves our arts and craft people. We love to showcase great talent. I want to participate in the Country Store. The Country Store will be located in the Ridge Spring Fire Department. I want to sell food at the festival. Hot dogs, hamburgers and bar-b-q--oh my! Come be a concessionaire this year. We are always looking for interested and dedicated people who want to be a part of making the festival a huge success. This year at the Ridge Spring Harvest Festival, we will be hosting at least 15 of the state’s top BBQ cookers at the BBQ Battle for the Ridge and they are serious about BBQ! Some of these teams compete in 25+ competitions every year, just in South Carolina! They will also go to regional and national competitions representing South Carolina and our BBQ heritage. They have cooked BBQ 100 different ways, tweaking their dry rubs, adjusting their temperatures, perfecting their timing and have some top of the line smokers, technologies and rigs to gain top prize! The 1st place BBQ cooker at this year’s BBQ Battle for the Ridge will win $1000 cash, an awesome trophy and take the title of BBQ KING OF RIDGE SPRING. The team’s flag will hang above the town until the BBQ Battle for the Ridge next year. So if you think you know good barbecue, come on out to the Ridge Spring Harvest Festival- BBQ Battle for the Ridge and sink your taste buds into the best you have ever tasted. The Ridge Spring Harvest Festival has been held in Ridge Spring since 1981. We enjoy getting together with our whole community and talking about the year’s events and to participating in our small town festival’s events, music, dancing, fellowship and competitions. We would like to extend the invitation to all that would like to join us in this wholesome celebration for the entire family. Want to show off your school spirit or advertise your business or maybe just have lots of fun getting together? Come be in the parade. Just contact us and tell us your idea and fill out the form. We are asking that our farmers put there creativity in action. Parade floats such as this one could be a great way to show off your farm and at the end we will have an area for your produce to be front and center. After all, what's a Harvest Festival with a Harvest? Our farmers are also invited to sell their produce in the Country Store. The Ridge Spring Harvest Festival parade is the kick off of the days festivities and a great way to show community support is to be in the parade. It doesn't take much, just decorate a truck or a golf cart or maybe a tractor pulling a trailer. We would love to see your creativity shine. The Parade start time is 11:00am. We would like everyone participating to be at the staging area from 9:00am to 10:45am. We have a new form we would like you to fill out and sent in by August 31st. We will post lineup information here the first of September. If you have questions please go to the Contact us page and send us an email. We will get back to you ASAP. 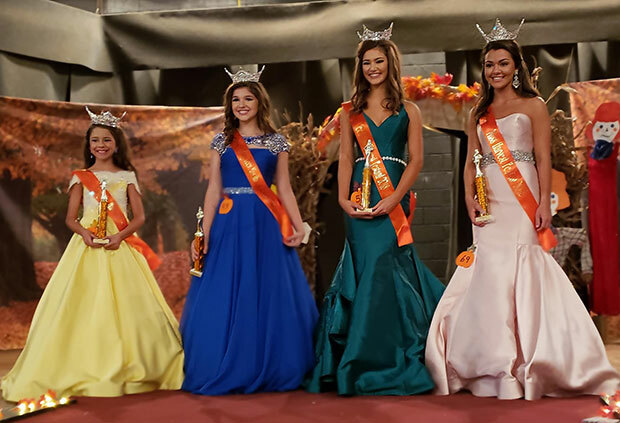 The 2018 Miss Harvest Festival Pageant was a success! We had about 60 lovely contestants grace our stage and we all had a wonderful time. 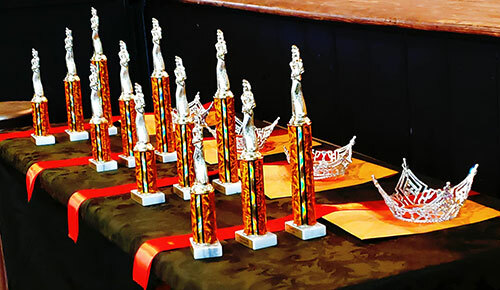 THANK YOU, pageant director- Bob Jackson, pageant coordinator- Qwendolyn Etheredge and all of the committee members and volunteers that ran the show! You are all AWESOME! Also, thank you to all of our contestants, friends and familes, moms and dads and to our highly acclaimed panel of judges! The Carolina Elite Stompers put on an amazing show with two performances, WOW! Join us on Saturday, October 12th at the Ridge Spring Civic Center. Enjoy 50's and 60's music with prizes and drawings throughout the day. Awards include the Best of Show Trophy and trophies to the top 35. Registration is 8 AM to Noon. Judging from Noon to 1:45 PM. Come early. Space is limited. Now if anyone knows Ridge Spring you know we love our arts and craft people. We love to showcase great talent. If you would like to join us and get a booth to showcase and sell your creations simply print off the form below and send it in. We want to encourage Businesses, Farmers, and Organizations to showcase themselves by becoming a vendor or an Exhibitor for the Ridge Spring Harvest Festival. This is the perfect opportunity for residents and visitors to learn all about you and to learn whats available to them. By being in the parade and having a booth you can get some really great exposure at very little cost. The cake category will be given a 1st, 2nd and 3rd place award. Entries will be judged on taste, appearance and texture. The pie category will be given a 1st, 2nd, and 3rd place award. Entries will be judged on taste and appearance. Recipes do not have to be original. There is no fee to enter the contest and each contestant may enter more than one category. A separate form must be turned in for each entry. Cakes and pies must be delivered to the RS Fire Department or Bank’s Drugs by 5pm on Friday, October 12th. Judging will be at 5:45 pm. All entries become property of the RS Harvest Festival and will be available for purchase. Please place all cakes, pies or cookies on disposable plates. 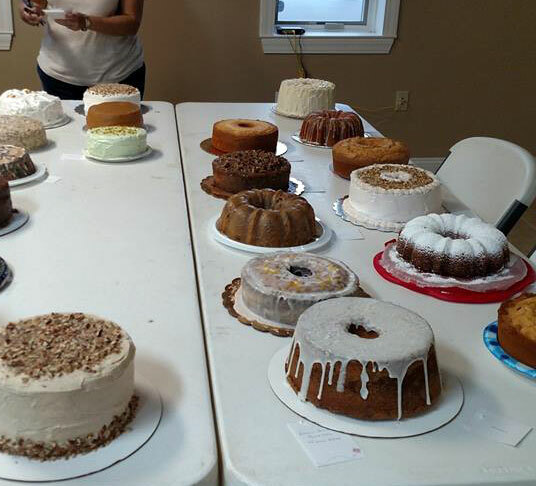 THANK YOU FOR YOUR PARTICIPATION IN THE CAKE AND PIE BAKING CONTEST. 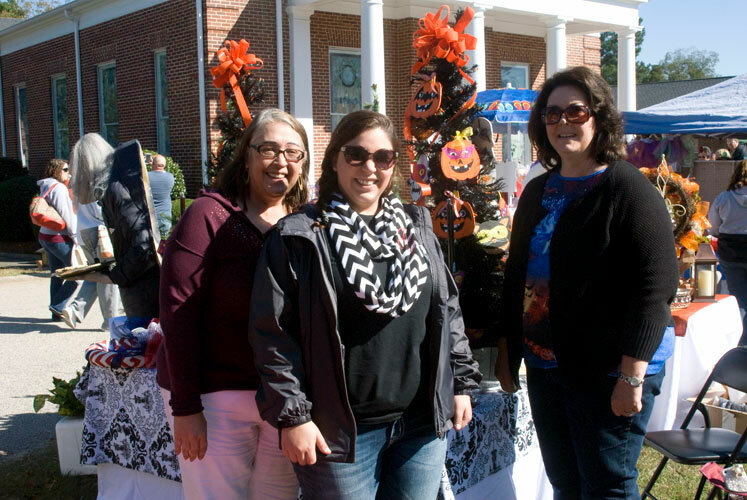 The cake, pie and cookie baking contest is sponsored by Bank’s Drugs of Ridge Spring. 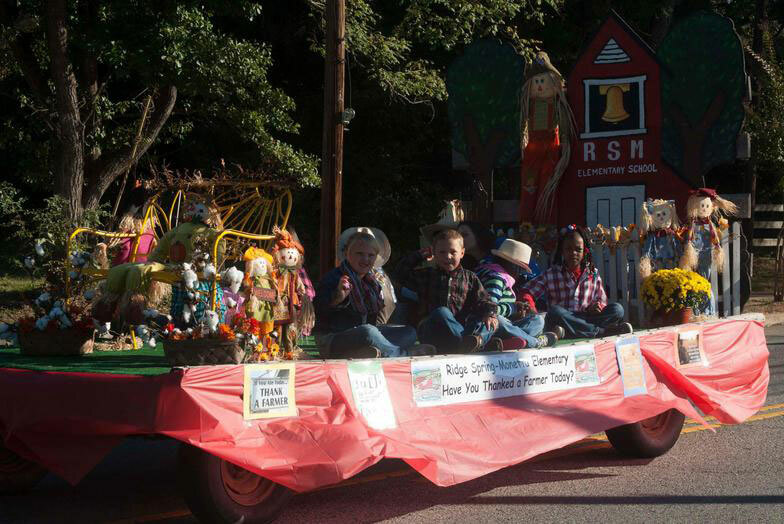 The Ridge Spring Harvest Festival Committee or the Town of Ridge Spring will not be held responsible for any accidents that may occur during the Harvest Festival. 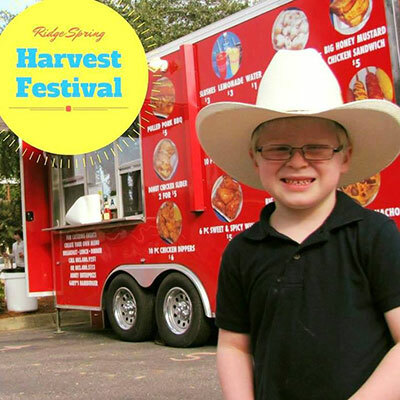 Come and enjoy Ridge Spring Harvest Festival and make sure to bring your appetite! There will be Bar-B-Q and Baked Goods from our competitions and a whole lot more! Come explore the different food vendors. Register to be a vendor in the Country Store. Local farms and vendors are welcome to apply. The Country Store will be located in the Ridge Spring Fire Department. 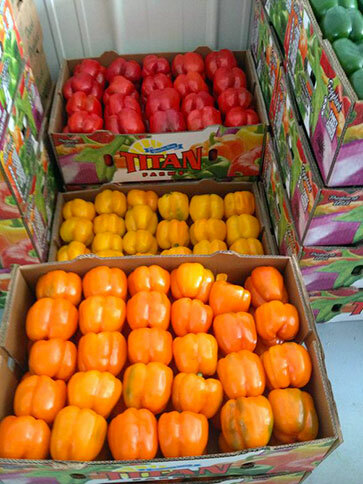 Buy local produce from locals such as Titan Farms, and Watsonia. We are always looking for interested and dedicated people who want to be a part of making the festival a huge success. Volunteers can log their hours for service time needed to meet business and college applications. Also all High School students that volunteer and help with the festival will be eligible to apply for the Scholarships offered by the Harvest Festival. If you would like to help with the festival go to the contact page and call or email us and let us know. We will then match you with a team or task that you will be comfortable with. Program: The Program is the booklet that is handed out before and during the Festival. It contains ads for our sponsors and for businesses in the area. It also contains the Festival Schedule, a map of festival activities, beauty pageant winners, past scholarship winners, and list of project managers. We need volunteers to help design the brochure, mailing out information to potential sponsors and to businesses that would like to be listed in the program. This includes follow through on mailings. This volunteer job would be a great opportunity for high school juniors and seniors that need volunteer hours for college applications and for college students needing experience in their job field for resumes. Please contact us if you are interested in helping with the program. Decorating: The decorating committee is responsible for coming up with the festival decorations for the town and getting them put up. This committee is responsible for the overall feel of the festival. The town employees usually help in getting this task done. This committee is also responsible for the removal of decorations. Promotions: Our promotions committee is responsible for putting together newspaper ads, finding possible television and radio spots, as well as social media and internet advertising. Bingo Night: Volunteers needed to help gather prizes from local businesses, and for setup and take down of chairs, tables and decorations. Parade: Volunteers are needed to help with parade organization. Country Store: We need volunteers to help with the festival's country store. Welcome Center: We need volunteers to help with the festival's welcome center. Concession Coordinator: This person will be responsible for contacting and coordinating our food vendors.